Customize with slide-out trays, tool boards, tip-down slides, or our other options designed to fit any compartment. 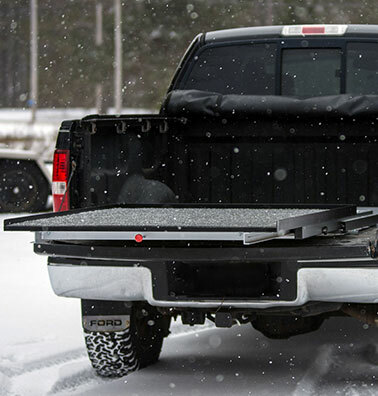 With many models and custom options to choose from, there is a SlideMaster for every vehicle and application. Respond quickly and reliably with SlideMaster. 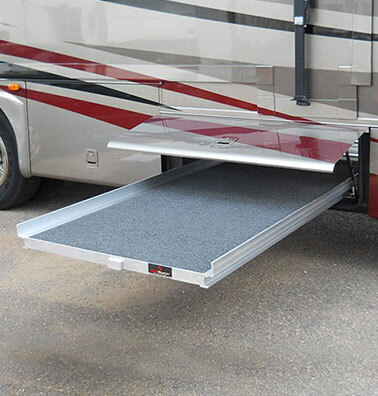 Utilizing RV storage should be easy. Custom bed slides tailored to your needs. Give us a call and speak with one of our knowledgeable friendly staff to start building your custom creation today! Why is SlideMaster an industry leader? Custom manufactured to the customer’s requirement. Excellent support and warranty from the manufacturer. Pulling out the telescoping cargo holder presents all the compartment contents without having to remove items in front to get to those in the back. Slides are strong and simple with securely welded steel or aluminum channels with ball bearings. SlideMaster units help to prevent back strain by bringing heavy items out into the open to assist proper lifting. Every SlideMaster is a custom creation built to order! Our in-house design team is committed to building the best slide possible for your application. 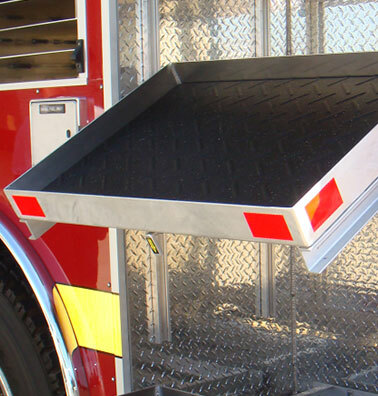 Typically, your custom fabricated slide is shipped within 2-3 weeks. Special expediting is also available.